It was only a few weeks ago we were in LA making the rounds. 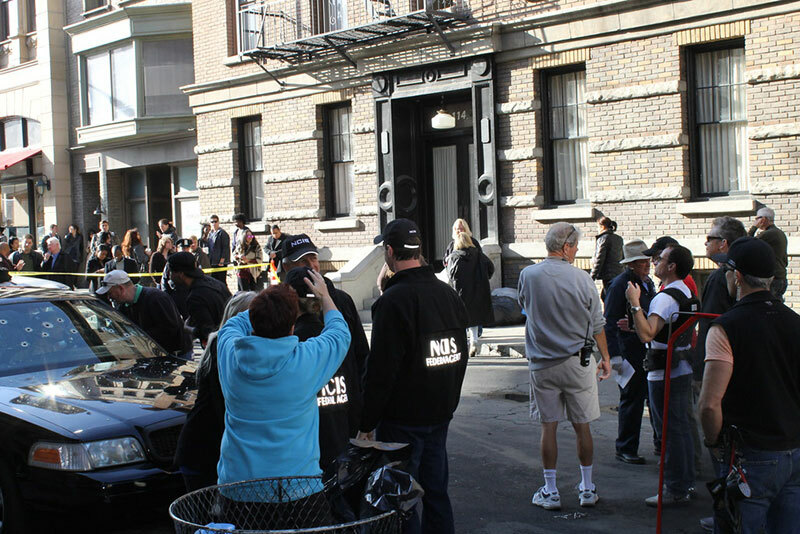 A true highlight of the trip was going on location to the filming of NCIS for the episode, Patience written by the extremely talented Steven Binder. 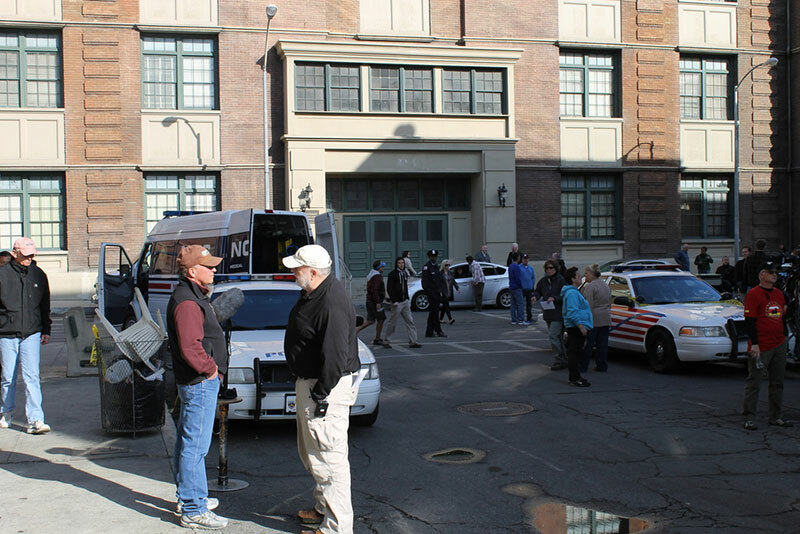 When we were invited to the set of NCIS, we were asked if we wanted to visit location shooting or the sound stage where are all the familiar sets are located. While there was no wrong answer, it proved to be difficult nonetheless. While we were happy to go to either, it is something to see these talented actors doing their craft. 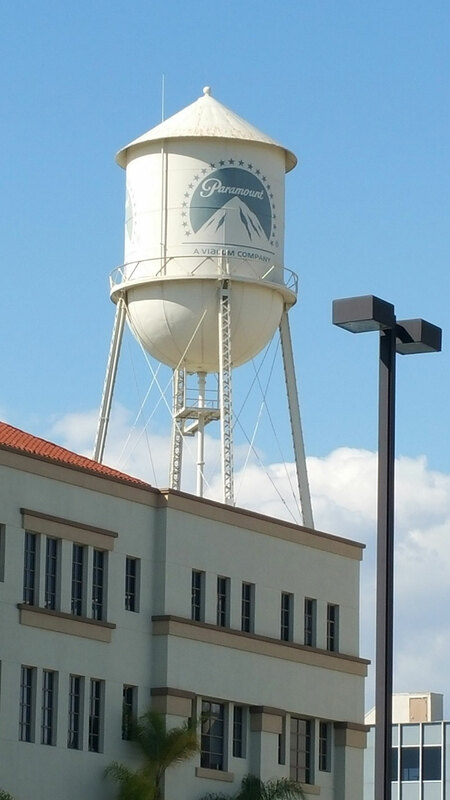 The on location shooting took place at Paramount Studios in Los Angeles. 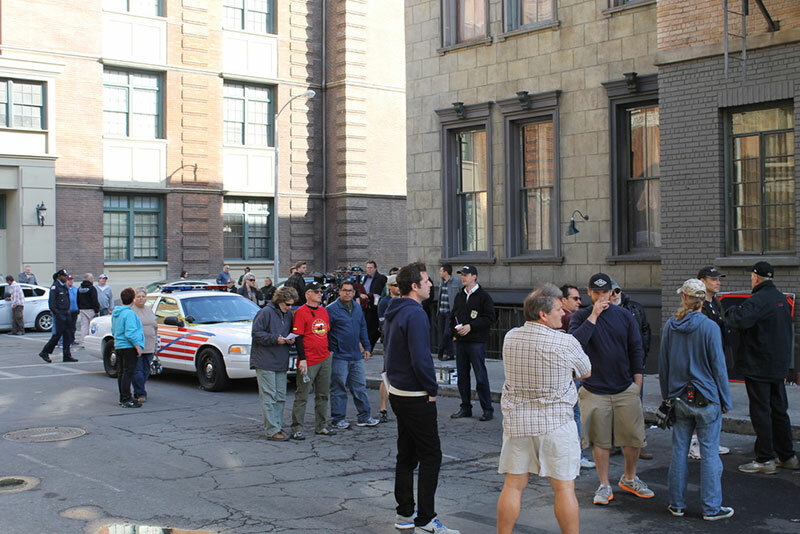 The history of Paramount Studios includes, The Blacklist, NCIS: LA, Rizzoli & Isles to name a few. Just to drive onto the studio required us to be on the list. Once verified, we were issued a ticket personalized to us including a map. Since we were early we walked around the studio and had a quick bite at the commissary. When we finally caught up with Steve Binder, the cast and crew were on a lunch break. While Steve ate we had the chance to talk about NCIS as a whole and some of our favorite episodes. We need to point out that this episode, Patience is the 50th episode of NCIS that Steve has written. It is an incredible feat and we were honored to be a part of it. It was time to head to the set as lunch was winding down. 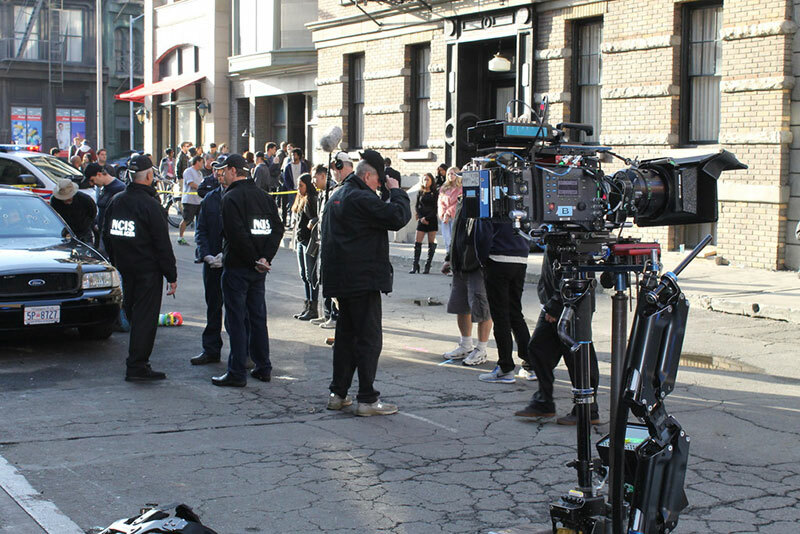 As you can see cameras are being setup as Mark Harmon, Michael Weatherly, Sean Murray, Emily Wickersham, Brian Dietzen and David McCallum will investigate. 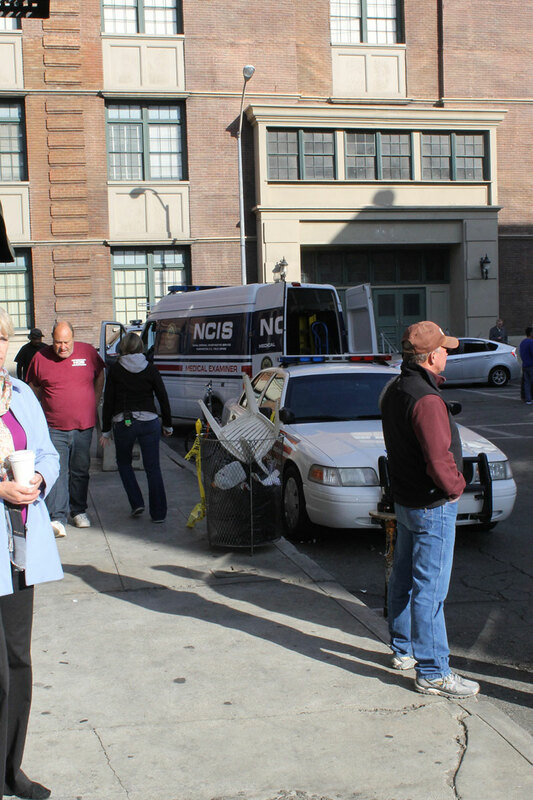 It is funny to note that between takes, Michael Weatherly reminded the victims they were dead. We must have watched the scene twenty times and it was just as fascinating to watch theses actors doing their job from the first take to the last. Between takes you could see the comradery between the cast members. Between takes we had the pleasure of meeting Emily Wickersham who plays Ellie Bishop. Emily is the newest cast member and is one of the nicest people we at the FoF have ever met. Emily is a great addition to this ensemble cast and never fails to deliver. After a few more takes, we met the man the myth the legend, Gibbs aka Mark Harmon. Mark Harmon is the heart and soul of NCIS. 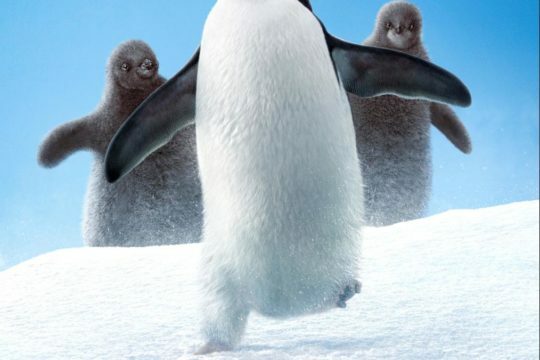 Since day one, Mark Harmon has been the fearless leader of his NCIS team. We were happy to present Mark with his FoF coin and welcome him to being an Honorary FoF member. Mark was quick to thank us and remark on the quality of our minted coins. We addressed him as Mr. Harmon and he was quick to say ppmmff…. call me Mark. 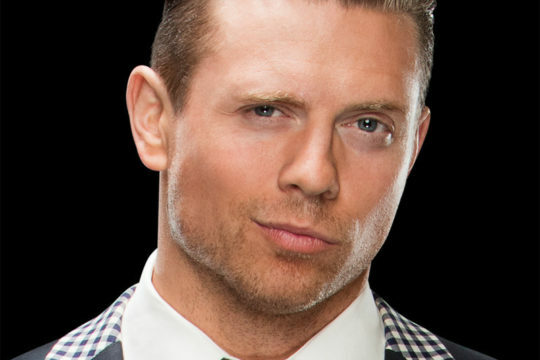 We had a great chat with, Mark. 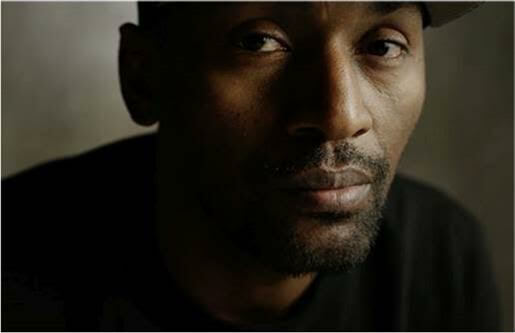 Mark is at the top of his game, yet was one of the most generous people we have met. We can happily say we are honored to announce that Steve Binder and the cast of NCIS are among our newest honorary FoF members. 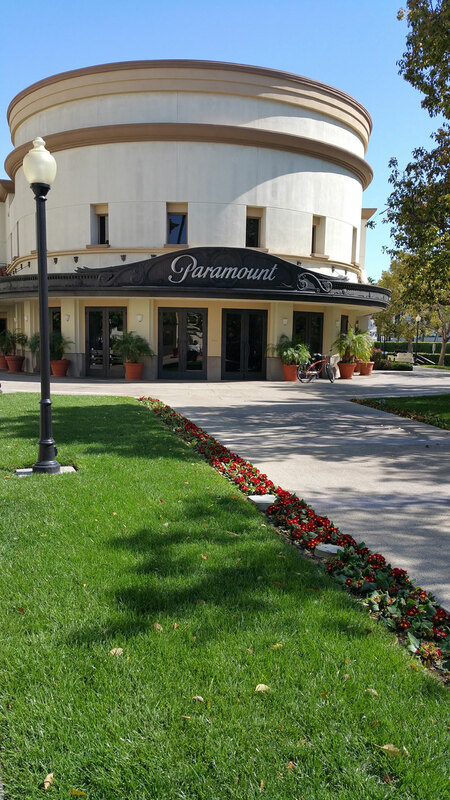 It is at this time we had to leave Paramount Studios/NCIS for our next adventure…..